at Whitsunday Vista Holiday Apartments, Airlie Beach Whitsundays offers the ultimate in relaxing Whitsundays accommodation. 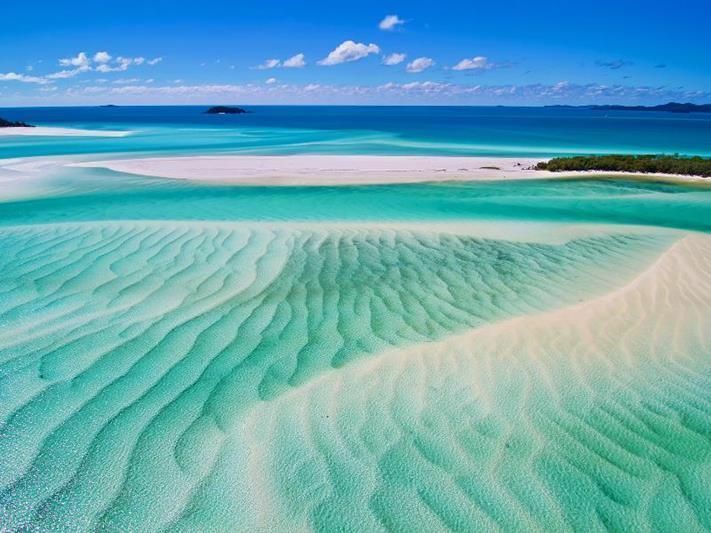 The resort is the perfect stepping off point for the magnificent Whitsunday Islands and the Great Barrier Reef – one of the seven natural wonders of the world. All suites and apartments are fully self contained with private balconies showcasing spectacular views of the Coral Sea, so you can soak up beautiful ocean views and breathtaking sunsets. Situated opposite the new Port of Airlie, and only minutes from shops, cafes, restaurants and bars, our location guarantees you will be close to everything required for a great Whitsundays holiday. A bus pick-up point at the front of the hotel gives easy access to both Shute Harbour Ferry Terminal and Abel Point Marina, from where dozens of boat trips depart every day for the islands and reef. There is also an on-site restaurant and bar for when you are feeling sociable and a pleasant shaded pool area for days when you just want to relax and enjoy the view from one of the most centrally located Whitsunday hotels. at Whitsunday Vista Holiday Apartments are family-owned and operated and we will go that extra mile to make your stay enjoyable. We are a quiet and friendly resort that appreciates your need for comfort and relaxation. We are here to help you and you can rely on our friendly and efficient service. at Whitsunday Vista Holiday Apartments are in an ideal location to enjoy the many mainland and island attractions on offer in the beautiful Whitsundays and is the most conveniently-located resort Airlie Beach has on offer. 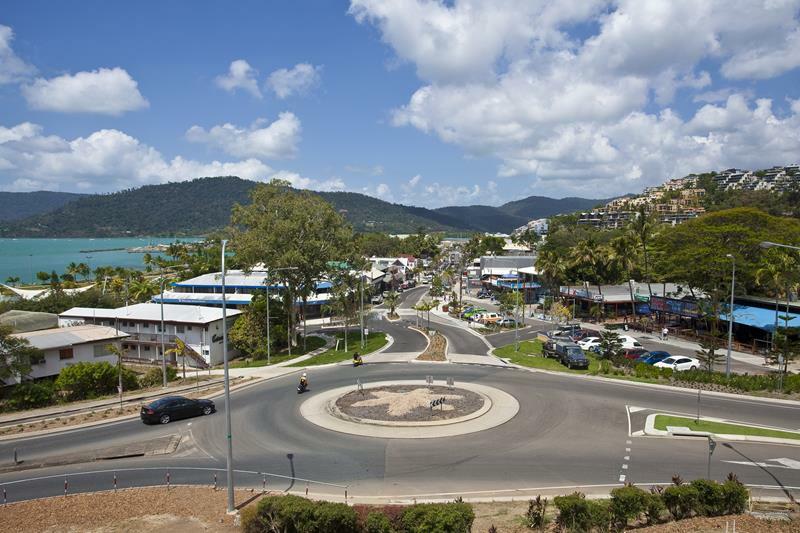 Just a short, flat walk to Airlie Beach (5 minutes), our resort in Airlie Beach is ideally situated to take advantage of the many restaurants, bars and cafes for which the beachside village is renowned. 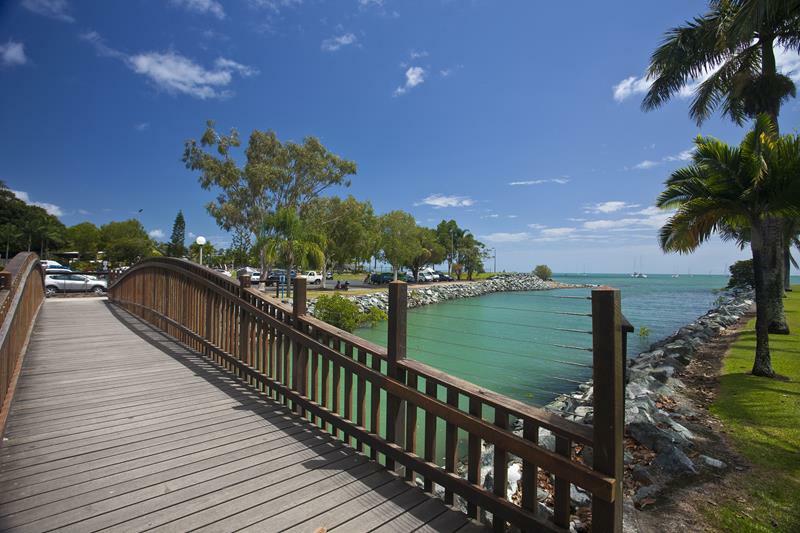 Airlie Beach is also known for its bustling markets and busy shopping scene, and is the stepping off point for the 74 Whitsunday Islands and Great Barrier Reef. at Whitsunday Vista Holiday Apartments are just 10 minutes from Abel Point Marina – a busy marina with a variety of boat trips and tours departing every day, contact our tour desk 07 4948 4000 to pre arrange your activities. 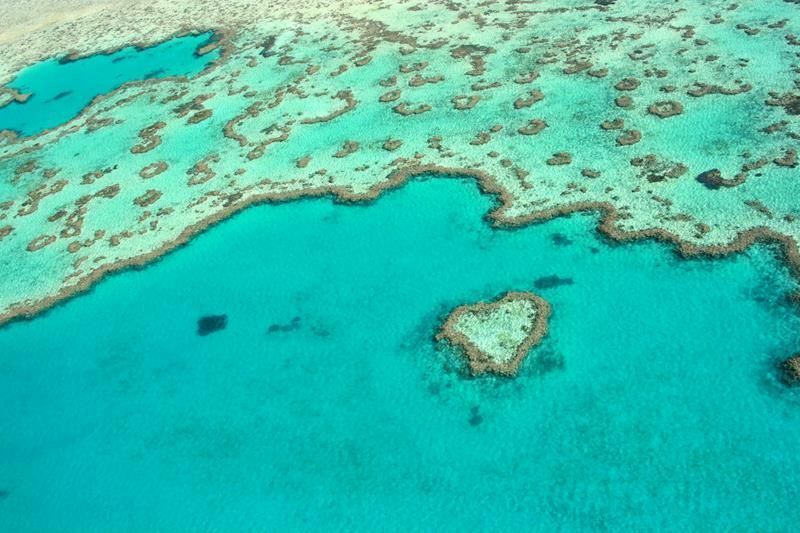 The Whitsunday Islands and Great Barrier Reef are just a boat ride away. Shute Harbour is also easily accessible – just 15 minutes – another busy marina with direct connections to the islands and Hamilton Island Airport. 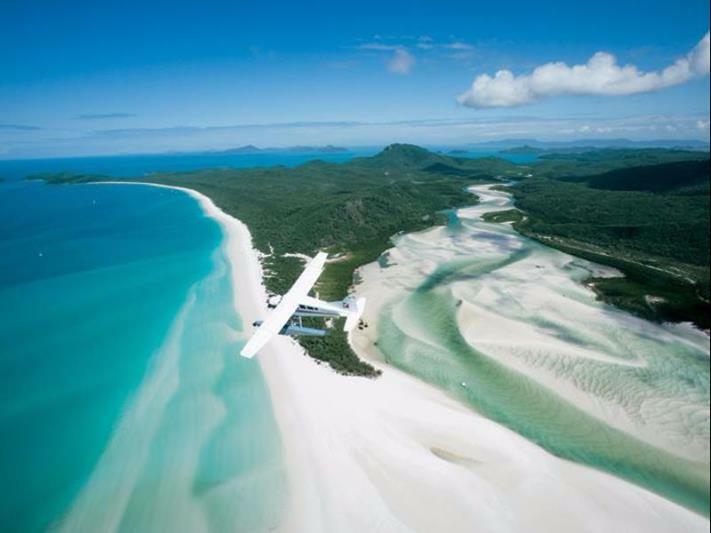 We are 40 minutes from Whitsunday Coast (Proserpine) Airport, please contact our team 07 4948 4000 to arrange transfers. at Whitsunday Vista Holiday Apartments’ self-contained spa suites and apartments are welcoming and comfortable containing everything you need for a great holiday. Chose from four different types of accommodation to suit your needs exactly, all with stunning views of the Coral Sea and the Whitsunday Island including renowed Whitehaven Beach plus the Great Barrier Reef is on your doorstep. Kitchen facilities mean you can self-cater when you wish and laundry facilities enable you to get on with having a good time, not sitting at a laundromat. Our one and two-bedroom apartments come with a full-size bath for a relaxing soak after a big day’s sight-seeing and our Bay View Spa Suites and Executive Suites come with a spa. at Whitsunday Vista Holiday Apartments are accessible to everyone, with wheel chair access and a lift to all floors. On days when you don’t want to venture far, relax around at Whitsunday Vista Holiday Apartments’ pool, with sunbathing area and barbecue facilities. Or simply sit on your private balcony and soak up the magnificent views of the Coral Sea and Whitsunday Islands. 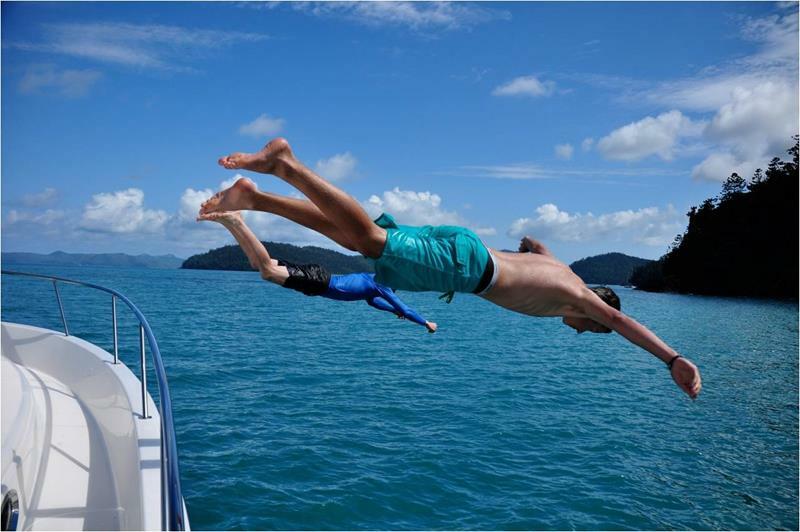 at Whitsunday Vista Holiday Apartments has a full Tour Desk to assist you with all your trips and activities. Just ask for whatever it is you want and we will do our best to accommodate you. 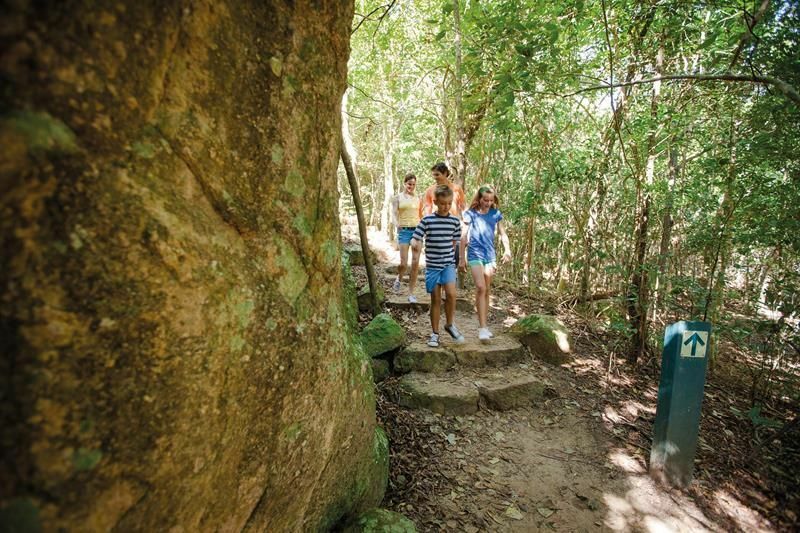 See ‘Things to Do’ for a list of boat trips, fishing charters and trips to the reef and islands, as well as a host of activities including snorkelling, diving and bushwalking. A bus-stop right out the front of the at Whitsunday Vista Holiday Apartments means easy connections for boat trips from Shute Harbour Ferry Terminal and Abel Point Marina and if a courtesy bus is provided by your tour operator, we have an undercover foyer area with chairs so you can wait in comfort.